So as most of you probably have seen, myself and Jordan made our second trip this year to Ibiza! 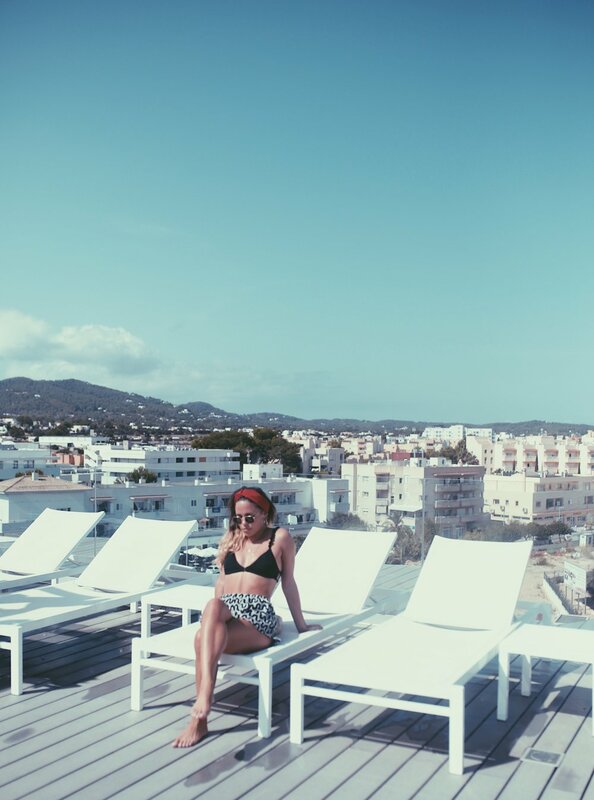 We loved it so much the first time that when Sol House Ibiza invited us out, we just couldn’t refuse another few days on the magical island! Newly renovated, the hotel is stunning and has this new, modern white-washed feel throughout. It has an amazing pool on the rooftop and another one which opens straight on to the beach. So if you don’t fancy the pool all day, the beach is right on your doorstep. Winning! 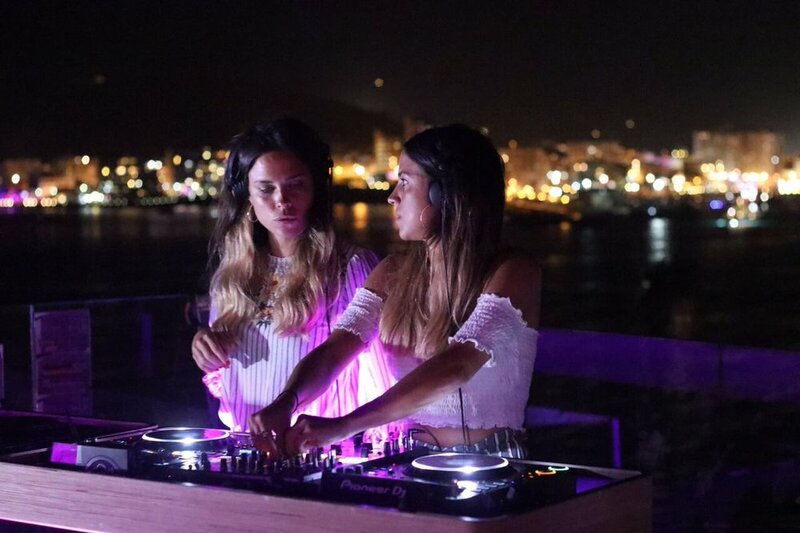 Sol house ibiza mixed by Ibiza rocks is located in Punta pinet beach in the buzzing San Antonio, infamous for its crazy party scene. Our favourite part had to be the roof terrace; with a beautiful pool, sofas, sun loungers, a bar , great tunes and stunning views, it's the perfect chill spot in the day.At sunset this is where the DJs gather and play at the Sol sunset sessions where we fortunately DJ’d one of the evenings during our stay, which was so much fun. Pool parties by day and Rooftop sessions by night, this is definitely a great place to go for music lovers and DJs. However, If you’re looking for a more chilled holiday with less party and preferably no kids, Sol beach house is located on the other side of the island and looks pretty beaut too!